- Best Practices - Are Business or Marketing Coaching Programs Worth It? 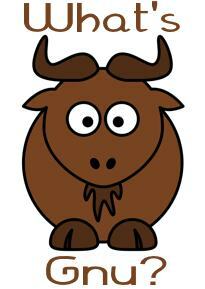 Welcome to a new issue of Tarot Tips! And a special welcome to our new readers. of stability after such a dramatic storm. In the last issue, we felt The Tower to be a relevant card. cards in a tarot reading. activity is discussed in the 'Best Practices' column. discussion at the Free Readers Studio Teleconference. plenty of time to shop. Tarot Tips is here to help you with the practical side of your Tarot journey. best to answer them in an upcoming issue. Spread the experience of tarot - share this newsletter with other Tarot Enthusiasts! just from looking at the cards upright anyway?" the Three of Pentacles means "Working with others." advantage and benefit is clear. you think about it, upright cards are not inherently positive. the artwork in the card and see if any new images emerge. for a long time can become revitalized and fresh again. to the story you see unfolding before you. you've drawn and put into the spread. At this point, you might be thinking, "Now wait a minute! being calm and at rest..." Actually it's quite the contrary. unnecessary stress and start getting a good night's sleep. you would an upright card. It really is that easy. 3rd Floor (between 5th & 6th Avenues). The High Deck is almost here! reasons to purposely hang upside-down. offenses that were not punishable by execution. saintly martyrdom were primary subjects of Renaissance art. is likely to think opposite to the thoughts of others. In a reading, this card can suggest awakenings, delays or periods of waiting. Traditionally it indicates intellectual or spiritual pursuits or instruction. a situation from another point of view. 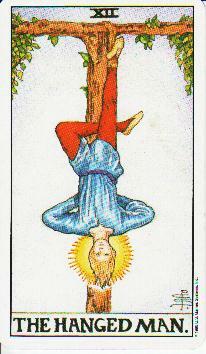 Tarot Affirmation: I confidently express my viewpoint and know it is valued. Coaching is excellent for those who need accountability. same type of multi-level marketing that they were advocating. tried any they would recommend. - Help you start/grow your business quickly. - Offer their proven system(s) for selling your products or services. - Boost your ego or confidence, so you can be cool like them. - Earn six-figures, sometimes millions, just like them. They drive home this point by repeating it often. Very often. A lot. Did I say a lot? - Adapt and behave as they do or tell you to for success. and know how people act and react as customers. - Enroll in their offer, but you'll only benefit if you act fast! hurry because, the regular price will start at a later date. aren't following their guru's formula for success. line and sinker. Don't think that I am 'coach bashing.' I am not. homework and look at the bigger picture. 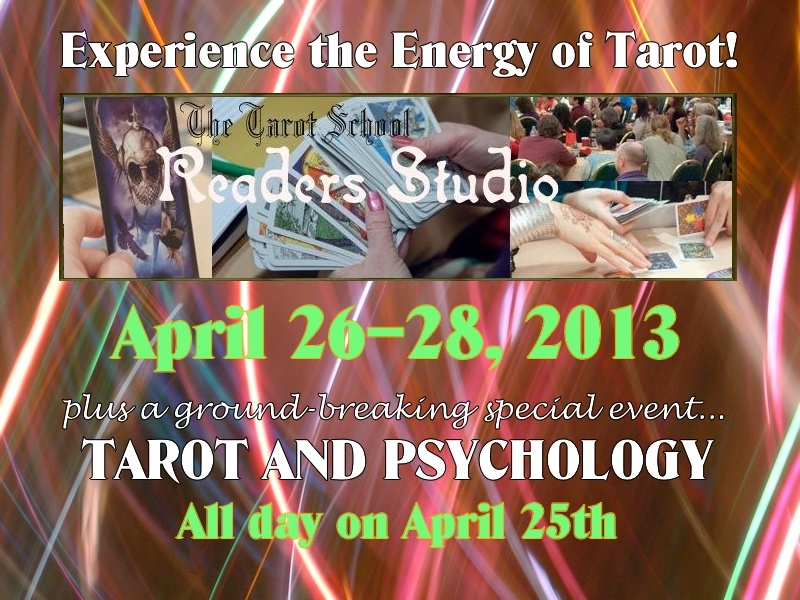 the upcoming Tarot & Psychology Conference! Readers Studio Teleconference -- Free! at our monthly informal get-together. other and brainstorm new ideas. The Annual Tarot School Holiday Party! Qabalah 2.0 "A Taste of the Dark Side"
Join our 4,610+ fans and join the fun! Do you have a question or comment on anything tarot?